A second person has been charged in connection with an armed robbery near Boystown on October 14. Police today announced that Alphanso Talley, 18, was arrested over the weekend and charged with robbing two men as they walked through an alley in the 3200 block of North Clark at 2:45 that morning. Talley demanded the victims’ property and battered the two men, ages 20 and 23. 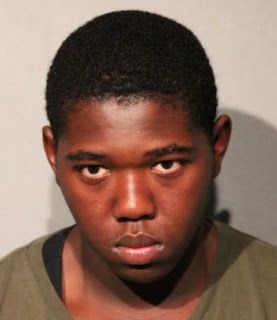 CWBChicago previously reported that a 15-year-old boy had been charged with one misdemeanor count of theft of lost or mislaid property and a city ordinance violation for possession of a replica firearm in the case. Talley, who lived at the Lawrence Hall youth center at 4833 North Francisco, was arrested early Sunday morning in River North. Police said officers working a robbery suppression mission recognized Talley and knew he was wanted for armed robberies. He has also been charged with displaying a firearm and robbing three men as they stood on the Red Line platform at Grand around 12:30 p.m. on October 21, police said. All totaled, Talley is charged with three felony counts of armed robbery and three felony counts of aggravated robbery. He is due in bond court this afternoon.